A Linux server (modern versions of Ubuntu, Debian, Centos, Red Hat & Fedora) with at least 20GB disk space. We recommend using Ubuntu Server 16.04 LTS. 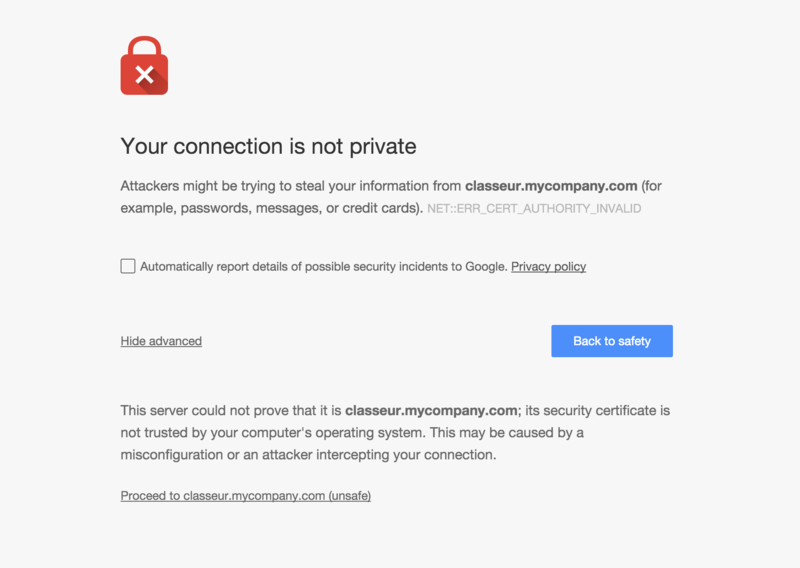 A Classeur Enterprise license file. 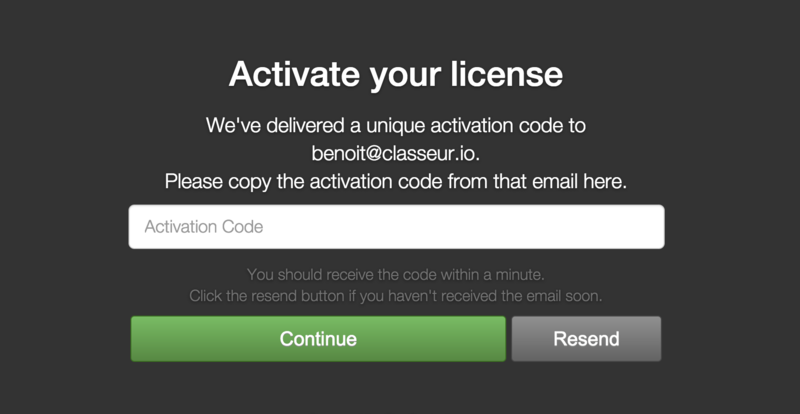 You can checkout a license at https://enterprise.classeur.io or email contact@classeur.io for a free trial. 8800 Custom TCP Rule This port is to access the admin dashboard for your Enterprise installation. 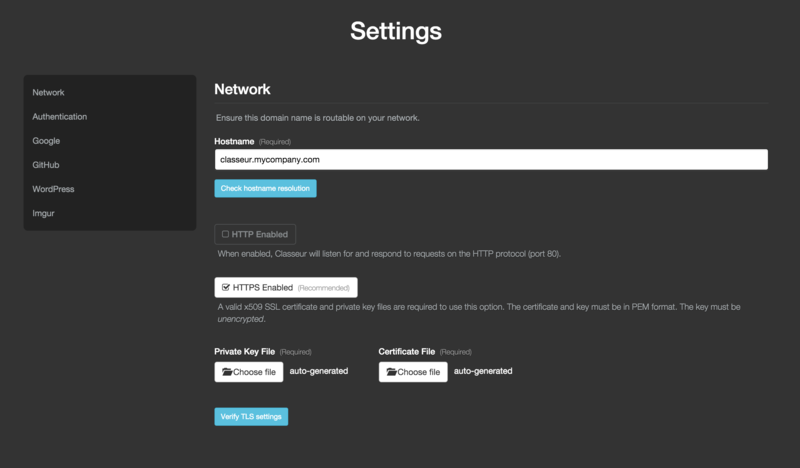 443 HTTPS Web application over HTTPS access. 80 HTTP Web application access. For security reason, all other ports not listed here should be blocked. Note that you will need the server to be accessed via a host/domain name rather than an IP address. 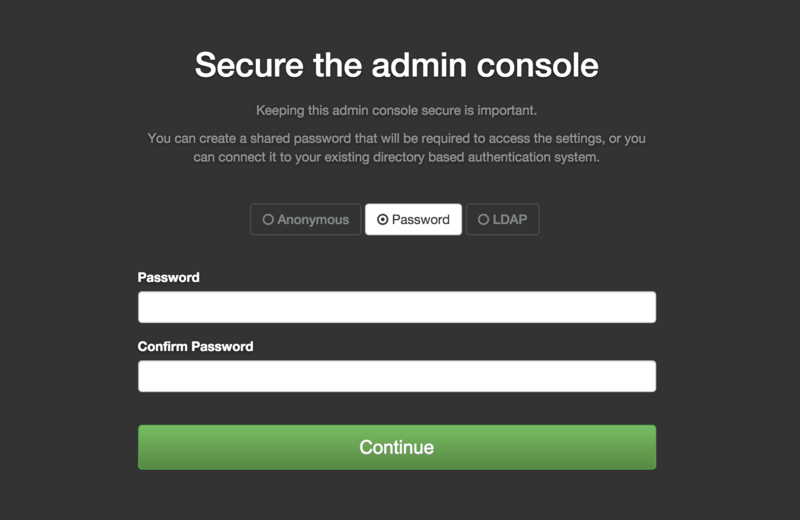 Access your server via HTTPS on port 8800 and bypass the SSL security warning. 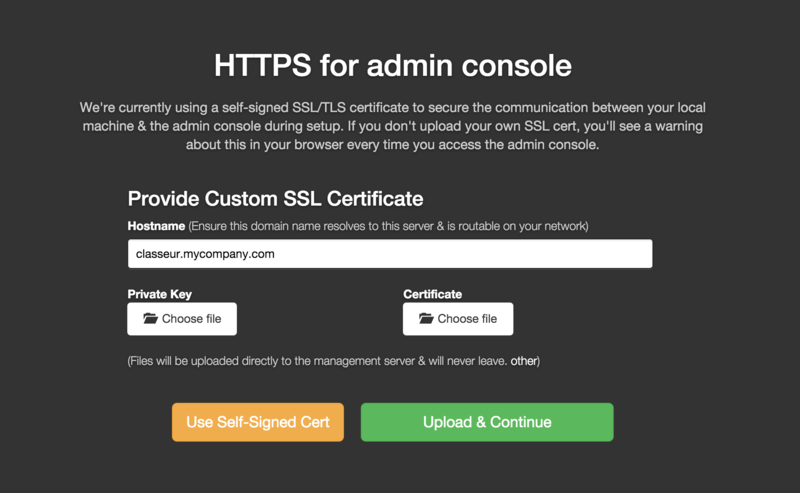 Upload a custom TLS/SSL cert/key or proceed with the provided self-signed pair. Check your email for your license activation code.